God of the Sea ? 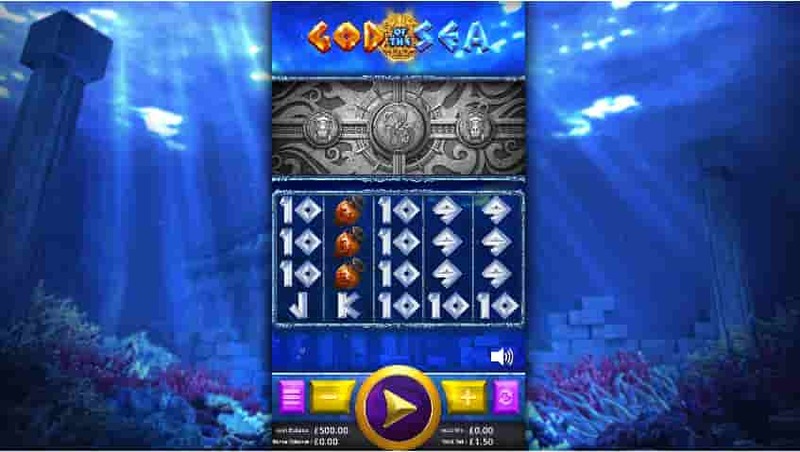 Inspired by Greek mythology, God of the Sea is a 5-reel and 30 paylines slot from Rising Entertainment. Poseidon belonged to the group of twelve Olympians of ancient Greek mythology, whose Roman equivalent was Neptune. He held absolute dominion over the sea and waterways. This power and ferocity transfers over in God of the Sea from Rising Entertainment. This is a 5-reel and 30 fixed paylines slot offering maximum prizes of €15,000 on a game round. Set below the surface of the sea, amidst the temple ruins and coral seabed, the collection of five reels hold all manner of thematic symbols. 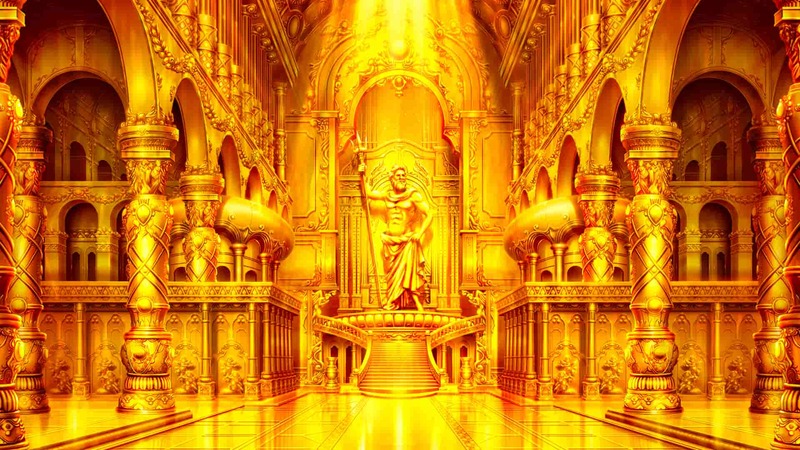 These include a golden coin, statue of Poseidon, statue of Hera, a golden harp, statue of Ares and a decorated vase. The lower-value symbols are represented by six royal flush images. While playing during the regular games, stone masses may swing open to present the god of war Ares. He uses his divine powers to smash the reels to reveal extra wilds or symbols which create the circumstances for big potential wins. Alternative to the Warrior Feature, the powerful Goddess Hera may reveal herself to use her divine powers to reveal wilds at points along the reels. All wilds may substitute for any symbol except the scatter. The slot is enhanced with three bonus features and two free spin modes. Not to be forgotten, the god Poseidon may reveal himself during the regular game to use his divine intervention to extend his hand over the screen in order to complete the scatter set by placing the missing scatter on the 4th or 5th reels to unlock the power of free games. 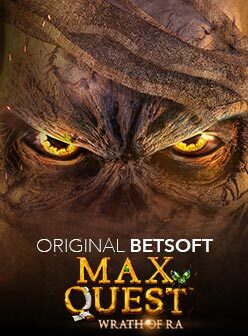 Collect 8, 16 or 40 free games with 3, 4 or 5 scatters respectively. 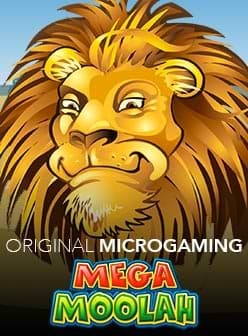 On the commencement of the free spins, you’ll be transported into the presence of the mighty Poseidon, wielding a mystical orb in each hand. Take your pick of orbs to reveal either the Gold or Silver Free Games Feature. Gold Free Games add extra stacks of wilds and changes all the Hera goddess and Ares god symbols into the highest-value symbol. Silver Free Games adds extra wilds to the reels. This is a high volatility slot with an RTP of 96.00%. God of the Sea slot has a return to player (RTP) of 96.00% and a high volatility meaning wins are harder to come by but are likely to be bigger when they do happen. Vary your wagers from €0.30 to as much as €30. Rich Greek mythology theme and artwork. Designed in HTML5, the slot is available using an Android or iOS operated mobile or tablet. Alternatively play it from the comfort of your desktop. You can find the slot at one of our recommended casinos.